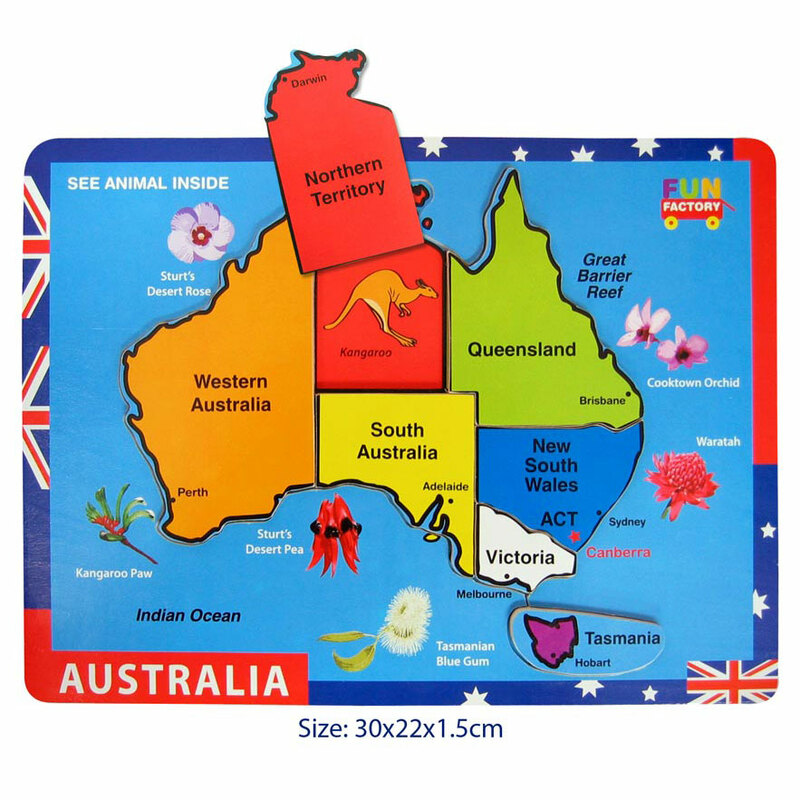 Children love this colourful wooden puzzle featuring a map of Australia. Each state is a puzzle piece - each a different colour with the capital city marked. When removed, each piece reveals an image of a different Australian native animal. A native flower is also pictured beside each state. The state borders are also painted on the puzzle base as a guide. The large raised puzzle pieces are easy for little hands to grip, encouraging fine motor skills. This puzzle is a great way to teach young children about Australian geography.